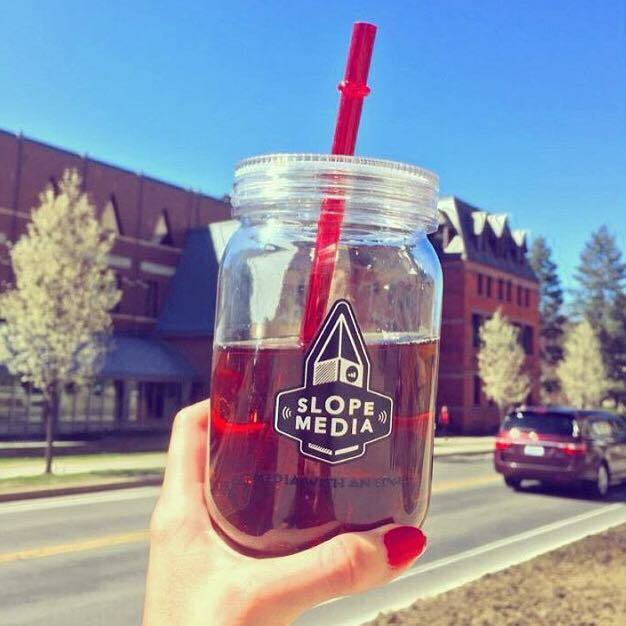 On Wednesday April 20th, and Thursday April 21st, Slope Media Group conducted a “flash freebie” event called Slurpin’ with Slope. The Marketing Department’s campaign revolved around increasing our number of Facebook followers by giving away branded mason jars, with free iced coffee or tea, in exchange for a “like” on Facebook. The department ordered 200 of the mason jars to give away as a trial run for the campaign. 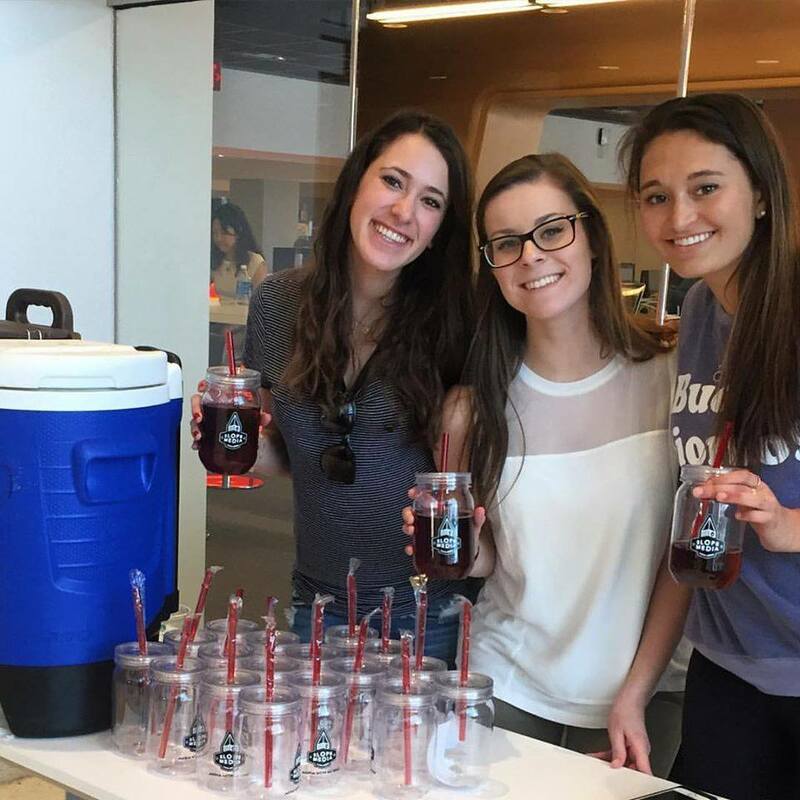 We chose to give away the jars at two key locations – Mann Library, and Statler Hall. Mann Library is home to the Communication Department, and it is close to where Communication and Applied Economics Management majors have their classes. Statler Hall is home to Cornell’s Hotel School. These locations were chosen to reach the types of students that, we believed, would be most likely to have an interest in Slope Media. During our first shift at Mann Library, we brought 50 jars that ran out within an hour. At the final shift at Statler, we ran out of the rest of our jars in under 30 minutes. In total, we received a net gain of 156 new likes to our Facebook page, representing a 6.88% net increase. Recognizing that we set aside 10 jars to give to alumni and that current members and fans of Slope Media Group also received jars, the campaign was a clear success. In October of 2016, we hoped to recreate the success we saw in April. Cornell Class Councils was hosting an event dubbed “FallFest” – described as a combination between ClubFest and Ithaca’s AppleFest – and invited Slope Media to participate. As such, we decided to give away more of the mason jars filled with apple cider. We experienced a net gain of 242 likes, representing a 9.02% net increase. Given the buzz that was generated and the overall success of this event for Slope Media, we hope to hold similar events again in the future. We are also looking into ways that we can partner with other organizations in order to increase our reach, while helping to promote other groups in the process.